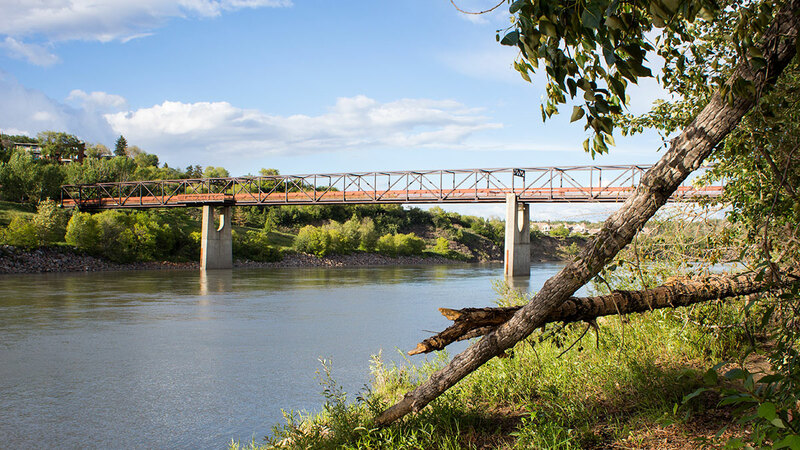 Two weeks ago, it was announced that the North Saskatchewan River’s newest bridge will be named Tawatinâ, the Cree word for “valley.” The bridge is in the works for the proposed 2020 Valley LRT line, which will finally connect Millwoods to the train system. With this decision, city planner Cory Sousa hopes to convey the city’s respect for Indigenous culture. Edmonton is, in fact, the city with the second largest First Nations population in the country. In spite of this, there is very little acknowledgment given to the existing culture of Indigenous peoples, and so they remain the most invisible of visible minorities. Yet, it looks as though we are experiencing a significant rise in the awareness of Aboriginal culture. Although racially prejudiced attitudes are omnipresent, one only has to glance at social media feeds, local events and news articles to realize there is a noticeable and progressive change in Aboriginal visibility. It doesn’t take a lot of searching to notice a growing interest among Edmonton’s youth in Aboriginal issues and culture. The voices of Aboriginal youth, as a result, are more frequently rising from the shadows. On Jan. 12, Edmonton Journal writer Elise Stolte interviewed two founding members of RISE (Reconciliation in Solidarity Edmonton), on the topic of First Nations reconciliation. Miranda Jimmy, from the Thunderchild First Nation in Saskatchewan, described reconciliation as “a process that’s been happening for a long time, since the signing of treaty.” But why should non-Aboriginal Edmontonians care about reconciliation? Reconciliation is not only about social relations. Culture is inextricably attached to land and environment, and the Aboriginal and non-Aboriginal youth of Edmonton are bringing this fact to light with activism. It is clear that Sousa’s incorporation of Cree into Edmonton’s landscape is impactful testimony of this contemporary movement of cultural awareness. Further, as a rapidly increasing youth population loses the languages of older Cree speakers, the simple act of naming a bridge also signifies the will to preserve Indigenous languages. Besides, perhaps it’s time to liven up the aesthetics our city, in which the names of monuments and roads are seldom more interesting than “High Level Bridge,” “Calgary Trail” and “West Edmonton Mall.” And, while Tawatinâ is just a translation of the simple word “valley,” at least it fits the theme of banality that seems to belong to Edmonton’s legacy. Edmonton Public School Board has done a good job of naming schools with Cree words: https://en.wikipedia.org/wiki/Mill_Woods#Schools. Tawa=welcome. Ekota=special place. Meyonohk=an ideal spot. Tipaskan=reserve. Kameyosek=the beautiful. Sakaw=wooded area. Also, the U of Alberta’s Faculty Club has the Papaschase Room.